Bird Heads On a Tray, originally uploaded by Booknero. So I'm kind of obsessed with a bunch of photos that I took at the Buffalo Museum of Science a month or so ago. 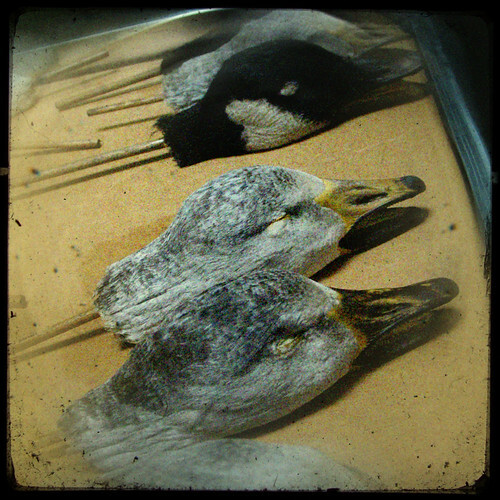 Some of you might think this is weird, but c'mon: bird heads on sticks! How can you go wrong? Wow, so I should totally take credit for you giving in to your dark side and using net speak? I think we're missing the important question here. WHY are the heads on sticks? Also, the picture is incredible! I don't know how, but it is.